German Fat Cap is back back!! 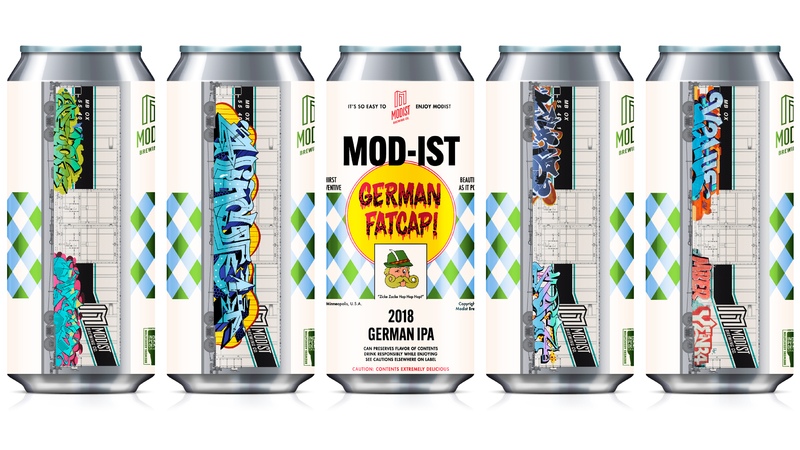 - Modist Brewing Co.
German Fat Cap is back back!! MODIST BREWING CO. ANNOUNCES RE-LAUNCH OF GERMAN FATCAP, A GERMAN IPA, INTO 16 OZ CANS. EACH 4 PACK WILL FEATURE 4 UNIQUE CAN DESIGNS. German Fatcap – our super limited, super seasonal, German IPA – is back! It’s our version of an Octoberfest and it will be released beginning in *GASP* October. Starting on Monday 10/1, you’ll be able to find GFC at liquor stores throughout the metro (full list below). Named after a type of spraypaint nozzle, the artwork on the can’s front pays tribute to the classic design of American spraypaint cans – while the artwork on the back features 4 distinctly different rail cars that have all been uhhh modified. The beer will also be available to try in our taproom beginning Tuesday, Octobeer 2nd.